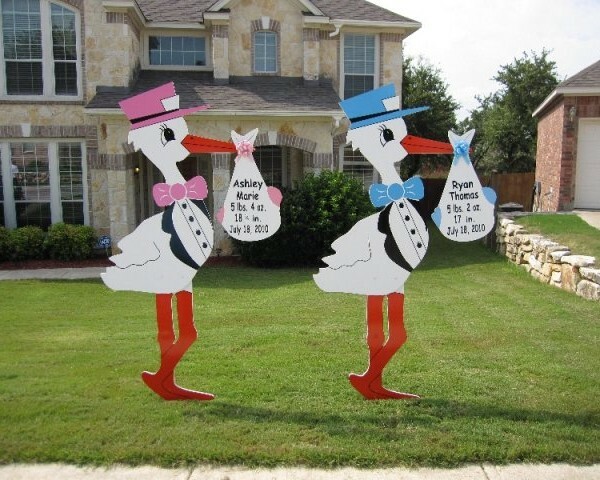 Welcome that new baby home with one of our unique BIRTH ANNOUNCEMENT signs in your front yard! 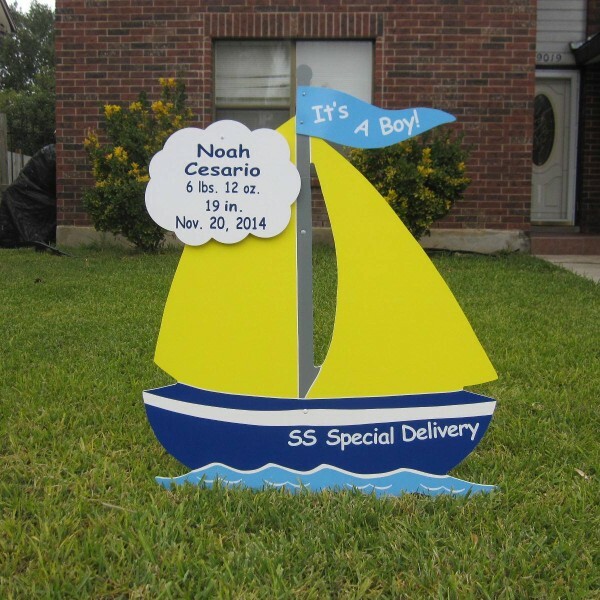 Choose a traditional pink or blue stork, a sports stork in TN or GA college colors, a sweet baby carriage, or a Nautical-themed blue and yellow sailboat. 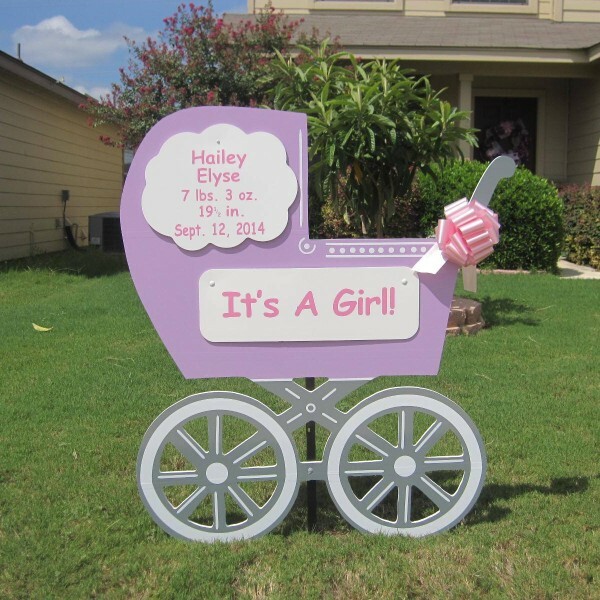 These are ideal for baby showers or gender-reveal events, as well as birth announcements. 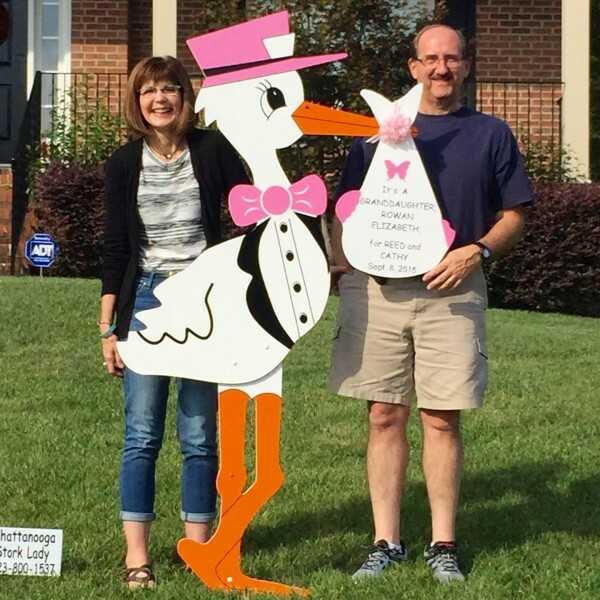 Grandparents enjoy a stork in their yard too, to announce the arrival of that much anticipated grandchild! 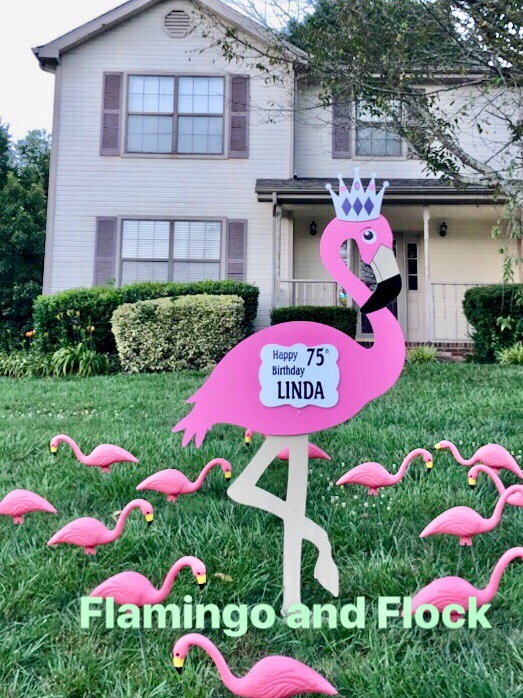 FLAMINGO lawn signs are a favorite with our customers, and can be used to celebrate almost any occasion! Teens love them as a birthday surprise! 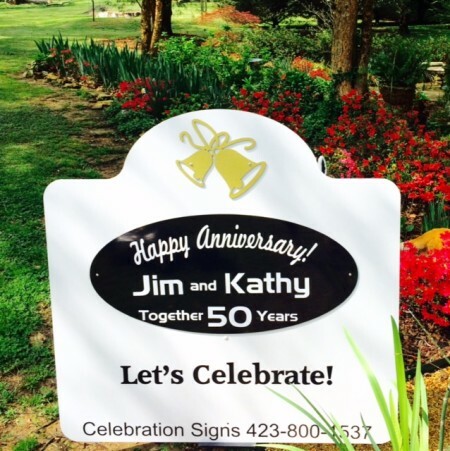 Couples use them to announce retirements, and hostesses love them as centerpieces at pool parties or summer gatherings. 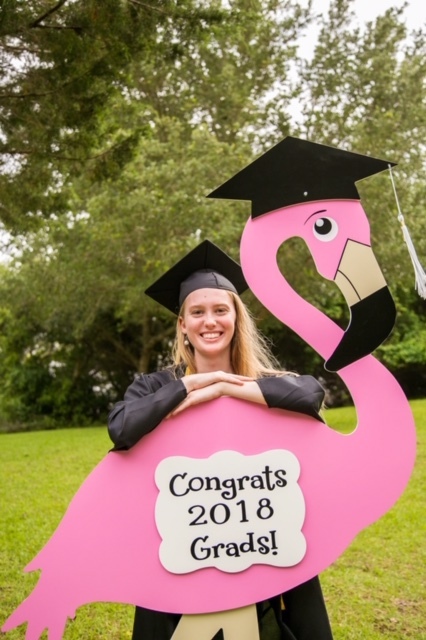 The FLAMINGO signs are especially popular as GRADUATION ANNOUNCEMENTS! They make lasting memories! 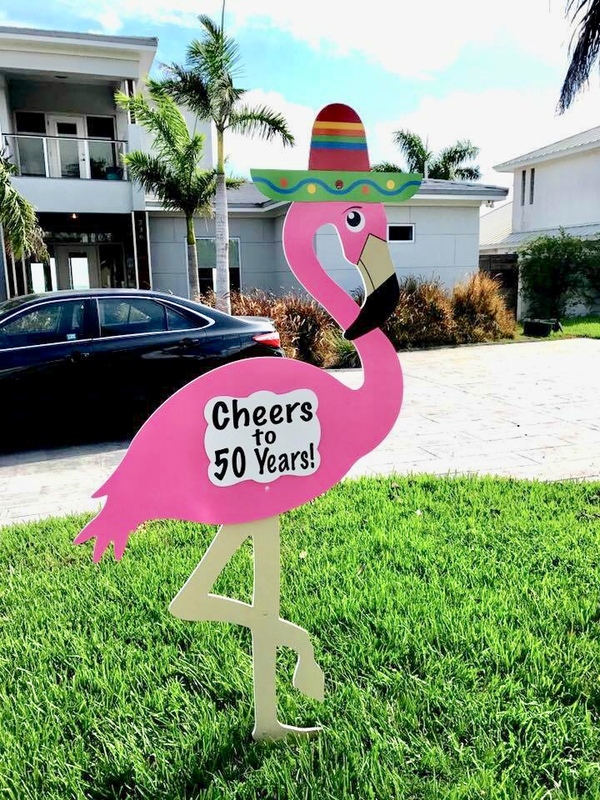 The six foot FLAMINGO can be rented alone or with a flock of small flamingos around him. 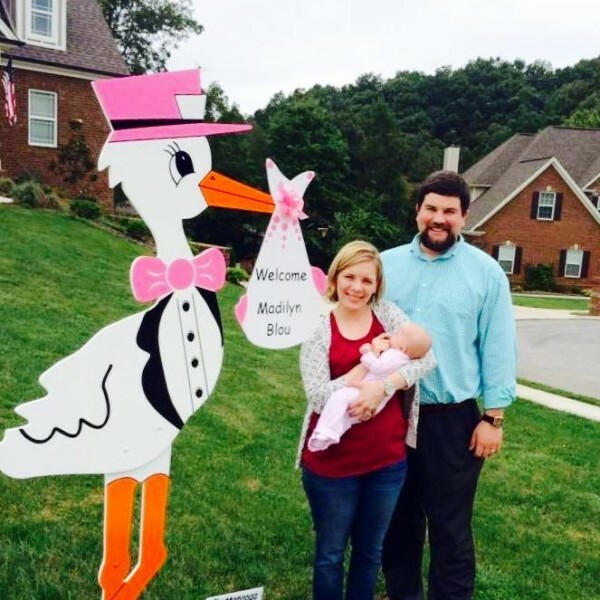 Is baby having her first BIRTHDAY PARTY? Is Aunt Becky turning 40? Grandpa turning 80? 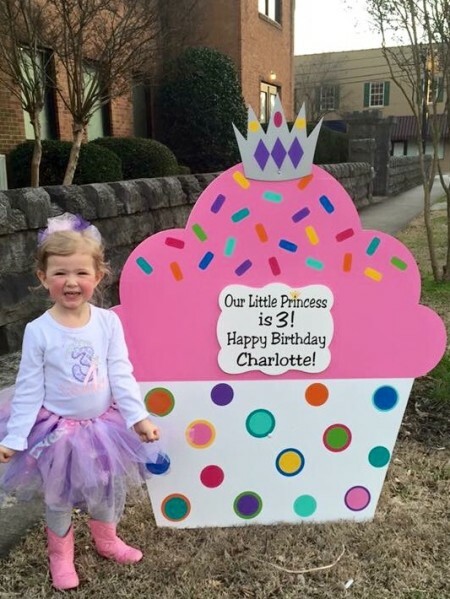 Renting our big four foot cupcakes makes their day extra special! 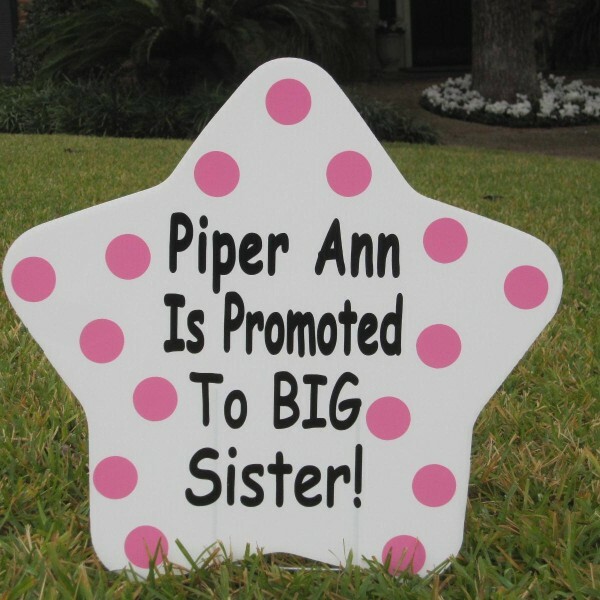 We offer three cupcake designs and a variety of cupcake toppers. 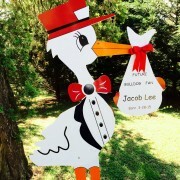 The toppers include a birthday candle, a child’s birthday number, a crown, a soccer ball, and more. 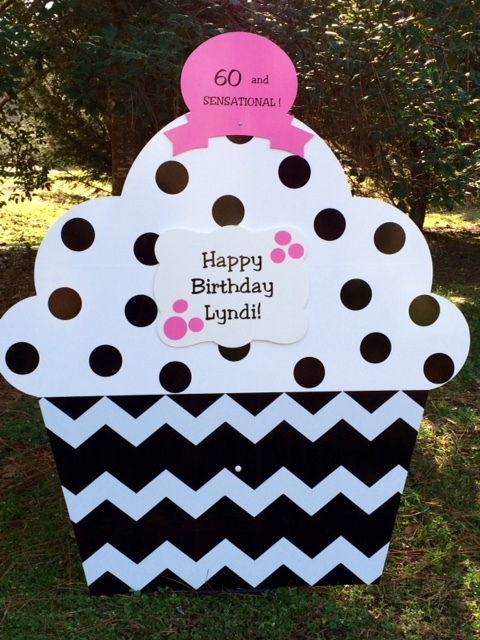 For that special MILESTONE BIRTHDAY, we have toppers such as Sweet 16, Over the Hill, Forty and Fabulous, etc.